Welcome to Nadia’s House Cleaning and Professional Janitorial Cleaning Services! We have provided commercial cleaning services to businesses and commercial facilities in Greater Boston, Massachusetts and the surrounding areas for over 25 years. No matter the size of your facility, our professional team of cleaning specialists will work with you to create a customized cleaning solution that will take care of your specific cleaning needs. 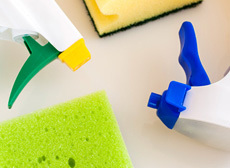 In addition to our comprehensive cleaning protocols for office buildings and commercial facilities, we also have experience cleaning medical and educational facilities which require additional levels of cleaning and sanitation. Research indicates that a clean working environment plays an important role in office productivity. In fact independent testing has shown that an office desk contains more than 400 times the amount of germs than those found in a bathroom toilet! These germs are responsible for office personnel taking an average of seven sick days per year. The good news is that the knowledgeable janitorial cleaning technicians at Nadia’s House Cleaning can implement a professional program that can prevent germs from spreading. At Nadia’s House Cleaning, our commercial office cleaning services are customized to fit the individual needs of our clients and guaranteed to provide a consistent, quality level of clean that will enhance the productivity of your office building. Medical facilities require a strict cleaning protocol to keep rates of infection low and consumers of healthcare services demand a professional level of cleaning when receiving patient care in a healthcare environment. 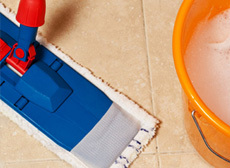 At Nadia’s House Cleaning, our janitorial cleaning services are designed to ensure that the proper disinfecting and sanitizing protocols are applied to exceed even the most stringent levels of healthcare cleaning standards. Our government buildings require a particular set of janitorial and maintenance standards as they set the tone of the community they were founded in. At Nadia’s House Cleaning, our cleaning technicians receive extensive training in cleaning protocols for all of the environments they maintain include government institutions. A clean healthy education facility is imperative to the health and wellbeing of the students and staff members. A building that accommodates a large number of students can quickly become a petri dish for germs, especially if the building is not cleaned appropriately. The cleaning technicians at Nadia’s House Cleaning apply a professional level of cleaning to ensure the buildings are kept clean and germ free to keep children and staff in the classroom. 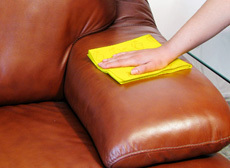 Our dedicated and experienced staff is equipped to handle any cleaning challenge. 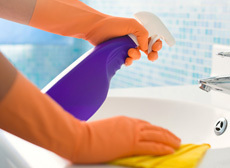 At Nadia’s House Cleaning we provide your campus with more than a clean environment, we also offer security and trust. Our company is licensed and insured to provide you with protection along with extensive background checks.